Fabulous view lot in north east Alabama that you would have to drive several hours and many miles to get anywhere else. Easy access from Birmingham, Atlanta, Chattanooga and Rome. You can see 3 states from any of the lots in The Bluffs and if you can't see 3, you can at least see one. Come visit and see for yourself. You will be impressed. 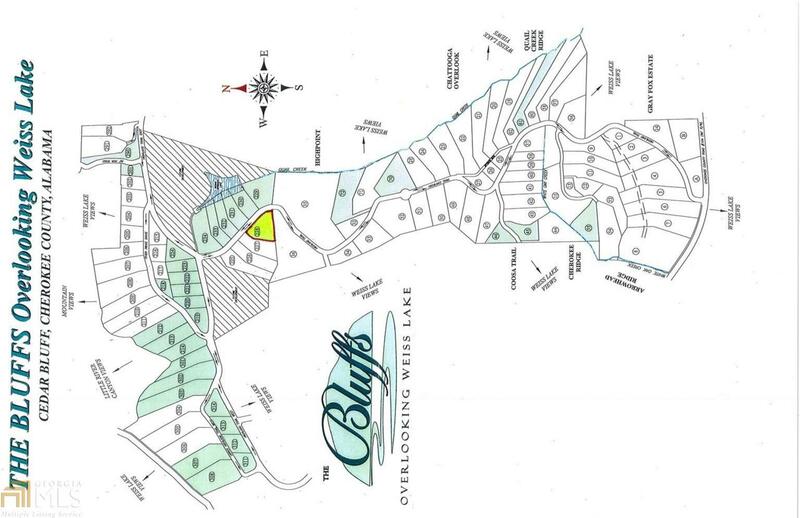 10% discount for first 6 lots placed under contract and closed within 60 days. 15% rebate of the net sales price of the first 6 lots with ACC approved homes completed and ready to move in within 18 months. Call for more details.